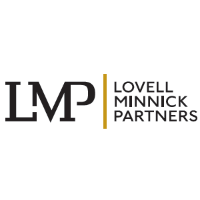 Lovell Minnick Partners or LMP is a private equity firm investing in middle market companies in financial services and business services. Since our inception in 1999, we have become a leader in our chosen space, raising $1.7 billion of committed capital from leading institutional investors including public and private pensions, insurance companies, endowments and foundations. We are seeking a bright and conscientious Investor Relations Associate with excellent interpersonal skills and a strong work ethic to join our Investor Relations and Finance team. Based in Radnor, PA or New York, the successful candidate will be a key member of the Investor Relations and Finance teams and will help execute all project management activities. The successful candidate will also work with the team on data analysis, database management and the strategic positioning and effective communication of the firm’s messages, performance, and branding to all external stakeholders. Creating, reviewing and/or enhancing various investor materials and the Firm’s wider marketing materials. An understanding of the latest private equity focused deal-flow and portfolio analytics tools— eg, Bison Cobalt, iLevel, DealCloud, etc.